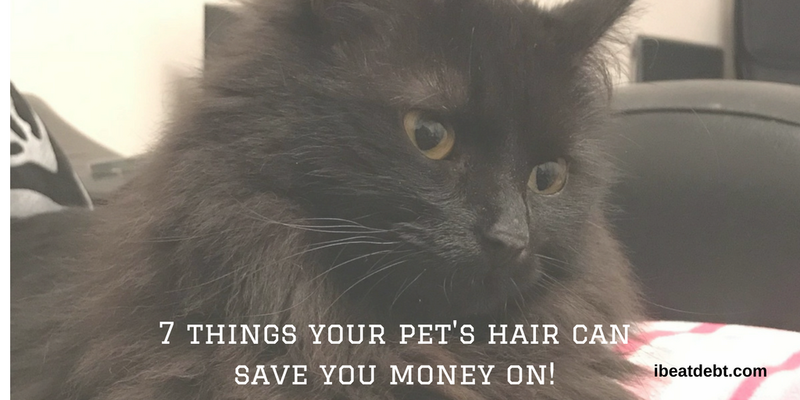 7 things your pet’s fur can save you money on! Yup, you read it right! After every grooming session, I end up with a big pile of hair that comes out of the coat of my cat Scruffy’s fur! I’ve always joked that I could weave them into something, but I decided to see whether there are any actual uses for it! 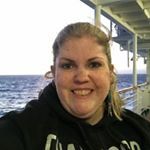 Here are the things that I think it could save me money on! Whether you need a new coin purse or mittens – use your kitten and cat hair to make crafts. Follow the steps from Crafting with Cat Hair and craft away! Pet hair was used in the cleanup of the Gulf of Mexico oil spill in 2010. Hair stuff in recycled tights or stockings was used to absorb the oil (who knew)! Now hopefully we won’t be having any major environmental disasters like this again, however hair and fur naturally attracts oily substances (hence why we need to wash our hair so regularly with shampoo) so if you have any oily spills around the house – here’s a free resource to help with the cleanup instead of expensive cleaning materials. If you have lots of wild birds around and want to help them – putting out your pet hair for them can help with their nesting. You can put it in piles around the garden, or in feeders for the birds to take out what they need. The hair and fur helps to cushion the eggs and also to insulate them. It will help make your garden more of a wildlife hotspot and best of all it is free which will save you expensive garden centre prices. No matter how much you love animals and wildlife, there will always be some creatures that you want to keep away. Sprinkling pet hair around your plants can keep away slugs and snails, as well as deterring bigger animals such as rabbits and gophers. Best of all it’s free rather than paying for chemicals for your garden and it’s natural so great for the environment too. Hair is a great material to include in your compost heap. It is an all natural organic material, and perfect to bring extra nutrients to your soil. Hair will add nitrogen to your compost mix and therefore your soil – and it will save you on extra costs for materials for your compost heap and garden! Animal hair is one of the most widely used upholstery fillings. It is soft and natural so great for the environment and for your wallet! It’s a win win! Bear with me – there’s logic in here (somewhere). 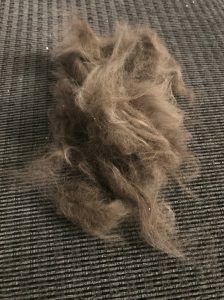 If I can use pet hair as cushion filling, and we know it helps birds to insulate eggs in their nests, what if we take it that bit further and sew up some material, fill it with pet hair and use as draught excluders! I think I may well be on to something here! 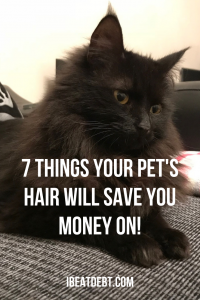 Let me know the uses for your pet hair that you have found below in the comments section!